Jessica graduated with her bachelor’s degree in Psychology in 2014 from the University of California, Irvine (UCI). Between 2014 and 2017, she worked as a Research Program Coordinator at UCI in the laboratory of Michael Yassa managing several neuroimaging and behavioral research studies that examined memory function in healthy and depressed young and older adults, adults with MCI, and Alzheimer’s patients with Down Syndrome. In 2017, she was admitted as a PhD student through the UCI Interdepartmental Neuroscience Program and joined the Stark Lab to pursue her interests in exploring the neuromodulatory effects of emotional arousal on memory mechanisms and how they become altered in aging. She is interested in developing novel approaches to address questions surrounding these topics by utilizing neuroimaging and neurophysiological techniques and designing behavioral paradigms sensitive to aging effects. 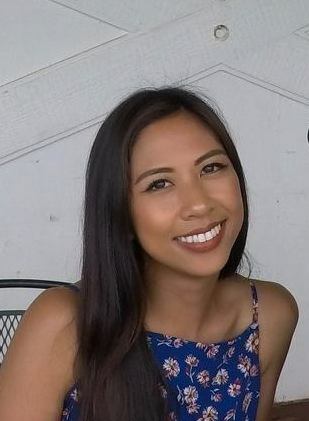 Jessica is also the graduate student chair of the Ambassador Program for the UCI Center for the Neurobiology of Learning and Memory which aims to advance public understanding of brain science among adults and K-12 students, and to inspire students to pursue the STEM fields. She also works with the UCI Transfer Student Hub to provide mentorship to students through the STEM Transfer Scholars Program. Reagh ZM, Noche JA, Tustison NJ, Delisle D, Murray EA, Yassa MA. (2018) Functional Imbalance of Anterolateral Entorhinal Cortex and Hippocampal Dentate/CA3 Underlies Age-Related Object Pattern Separation Deficits. Neuron. Mar 7;97(5):1187-1198.e4. doi: 10.1016/j.neuron.2018.01.039. Leal, S.L., Noche, J.A., Murray, E.A., Yassa, M.A. (2017) Disruption of amygdala-entorhinal-hippocampal network in late-life depression. Hippocampus 27(4):464-476. Leal, S.L., Noche, J.A., Murray, E.A., Yassa, M.A. (2017) Age-related individual variability in memory performance is associated with amygdala-hippocampal circuit function and emotional pattern separation. Neurobiology of Aging 49:9-19. Reagh, Z.M., Ho, H.D., Leal, S.L., Noche, J.A., Chun, A., Murray, E.A., Yassa, M.A. (2016) Greater loss of object than spatial mnemonic discrimination in aged adults. Hippocampus 26(4):417-22. Noche, JA. (2018) Optimizing in vivo quantitation of human brain metabolites using magnetic resonance spectroscopy. Neurobiology and Behavior Neuroblitz. UC Irvine. Noche JA, Marquez F, Tustison N, Delisle D, Murray EA, Kapoor V, Witbracht M, Sirivong S, Stone J, Stone J, Grill J, Reagh ZM, Yassa MA. (2017) Performance on object pattern separation task predicts cognitive status and is linked to anterolateral entorhinal cortical thinning in cognitively normal older adults. Society for Neuroscience, Washington, DC. Noche JA. Suicide Management Protocol for Human Research. (2017) UCI Seahorse Club. UC Irvine. Noche JA, Leal SL, Murray EA, Yassa MA. (2015) Remembering Emotional Information: Individual Differences in Age-Related Memory Loss. Society for Neuroscience, Chicago, IL. Noche JA, Leal SL, Murray EA, Yassa MA. (2015) Remembering Emotional Information: Individual Differences in Age-Related Memory Loss. Translational Neurobiology Research Day. UC Irvine.